The Caddo archeological and cultural tradition represents "an archaeological concept... recognizable primarily on the basis of a set of long-standing and distinctive cultural, social, and political elements that have temporal, spatial, and geographic connotations" (Perttula 1992:7). Best known for the distinctive and beautifully-made engraved ceramic vessels found on mound and habitation sites, but also by the massive quantities of exotic prestige goods found at the Spiro site in eastern Oklahoma (see Phillips and Brown, 1978-1984), the Caddo archeological tradition in basic terms is characterized by dispersed but sedentary settlements, a horticultural to agricultural economy, and a complex socio-political structure denoted principally by a heterarchical network of mound centers and the differential treatment of the dead by rank, most notably in burial mound shaft tombs accompanied by elaborate grave goods. 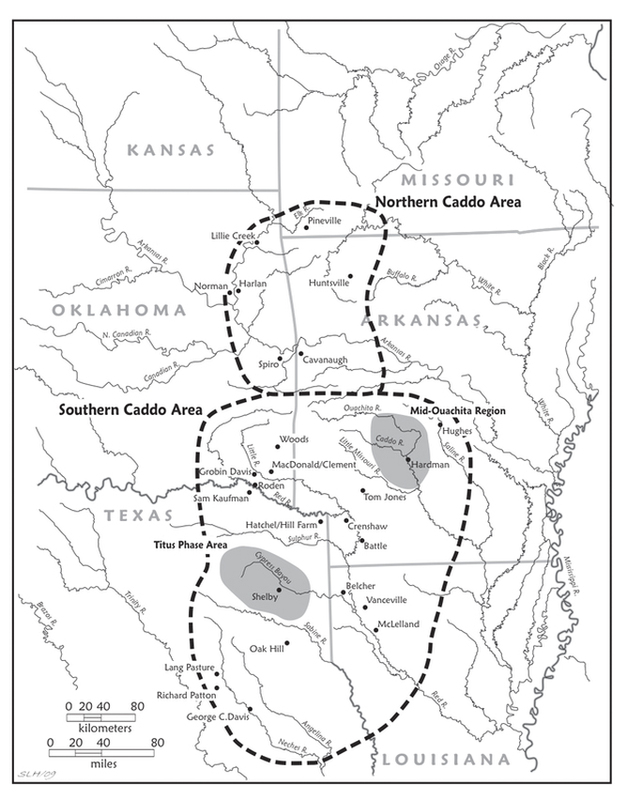 Caddo archeological sites are found over a large area of four different states, including eastern Texas, northwestern Louisiana, southwestern Arkansas, and eastern Oklahoma, centered on the Red River and its tributary streams (Figure 1). 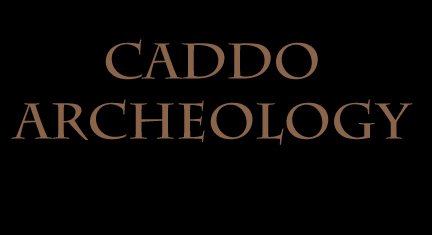 Considered a Mississippian tradition by some, Caddo archaeologists have argued that the evolutionary development of the Caddo cultural tradition took place relatively independently of the emergence of Mississippian period developments in the southeastern U.S., though they consider Caddo society to be southeastern in character. Tanner (1993:6) has noted that "the Caddo became the most western of the great chiefdoms that developed in what is now the southeastern United States... Of all the great southeastern chiefdoms, the Caddo was the only one west of the Mississippi River. No other comparable social and political organization existed between the Caddo country and the land of the Anasazi in New Mexico." Caddo societies share much with their Southeastern U.S. Mississippian neighbors, including the adoption of maize and the intensification of maize agricultural economies, as well as in systems of social authority and ceremony (Butler and Welch 2006). Consequently, patterns of cultural change in the Caddo archaeological area (see Figure 1) are not directly comparable with, nor temporally synchronous with, that of Mississippian groups in the Southeast. Although there are clear socio-political and trade relationships with the Southeast, the Caddo area is manifestly different in several intriguing ways. The Caddo archeological record is a one-thousand year record of cultural change and continuity among peoples who maintained their own distinctive socio-political and economic dynamic while Mississippian polities fought and competed for power and tribute (cf. Pauketat 2004; Brown 2006; King 2006). Archeological research in the Caddo area began about the turn of the 20th century (see Weinstein et al. 2003). Mark R. Harrington (1920) was the first to explicitly associate archeological remains from the area with an historically known Caddo group (the Kadohadacho), but it was only in the late 1930s that the region received serious attention by southeastern U.S. archeologists. 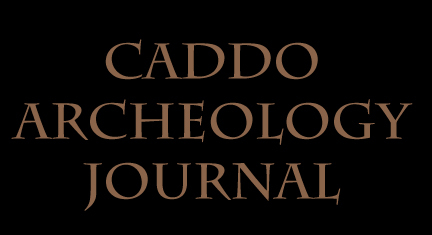 Before that time, a few archeologists, professional as well as avocationalists, turned their attention to the Caddo archeological record, working to accumulate collections and better understand the cultural relationships and prehistory of the Caddo peoples. Alex D. Krieger's (1946; see also Newell and Krieger ) syntheses of WPA archaeological investigations in Texas, and his command of the Caddo archeological record in adjoining states, was to change all that. Heavily basing his interpretations of Caddo archeology on findings from the George C. Davis mound site in East Texas - particularly the findings of engraved pottery in association with "temple-mound building" and abundant corn remains - Krieger (1947, 1948; Newell and Krieger 1949:231) proposed that George C. Davis was not only one of the earliest known Caddo sites (estimated to date from about A.D. 500), but indeed was one of the earliest Mississippian period sites. Krieger (Newell and Krieger 1949:231) went on to propose that the Davis site was occupied by an acculturated group from Mesoamerica (cf. Story 2000:5). These ideas have not stood the test of time, however. The early date of the Caddo materials were questioned, as was the possibility that the Davis site was occupied by peoples that had migrated from Mesoamerica (Griffin 1950, 1952; Ford 1951). Caddo archeology in general, and the Davis site in particular, were thought to date much later in time (after ca. A.D. 900), and thus could at best represent only a peripheral Mississippian society, not a Mississippian heartland (Smith 1984:14-16), that developed out of groups living in the Lower Mississippi Valley. More than 50 years later, archeologists have rather convincingly demonstrated that the Caddo archeological tradition should be understood and appreciated through its own long history, not through the lens of a far-removed Mississippian tradition. This was the intellectual state of affairs when the majority of the articles were written on Caddo archeology that are reprinted in this volume. Not swayed by the pronouncements of James B. Griffin and James A. Ford, but less interested in making bold, sweeping statements about the nature and place of Caddoan archeology in the Southeast U.S., Caddo archeologists from the 1930s through the 1970s focused on culture history. They concentrated on developing local Caddo sequences in Texas (Suhm et al. 1954), eastern Oklahoma (e.g., Orr 1952), along the Red River in Louisiana and Arkansas (e.g., Webb 1959, 1983; Schambach 1983), and in the mid-Ouachita river area of southwestern Arkansas (e.g., Early 1993). Archeological research on the last 40 years, in combination with the development of radiocarbon dating, has now shown that the Caddo archaeological tradition developed by about A.D. 800/900, but cultural connections with Mesoamerica have received little attention in the last 30 years. The Caddo archeological tradition in their traditional homelands continued until the mid-19th century (Table 1), when the Caddo peoples were forcibly removed from Texas to Indian Territory (Oklahoma) in 1859 (Neighbours 1973, 1975). In recent years, in pace with developments in the Lower Mississippi Valley (see Dunnell 2008) and adjoining archeological regions, while the Caddo archeological interest with temporal-spatial systematics has remained strong (along with new approaches with great potential to discern rapid ceramic stylistic changes with fine chronological control, see Schambach and Miller ), Caddo archeologists have turned to addressing broader and more significant research problems concerning such themes as settlement patterning, socio-political organization, ceremony and ritual, iconography, subsistence change, health and adaptive efficiency, and exchange networks (see Brown 1996, 2007; Early 2000, 2004; Emerson and Girard 2004; Kay and Sabo 2006; Lankford 2007; Perttula 1996, 2008). These have taken place in tandem with the burgeoning field of Cultural Resource Management and its accompanying laws, regulations, and practices - under which most Caddo archeological work is done these days, and in conjunction with the development and use of new scientific methods, the most significant among them being geophysical surveys of Caddo sites (Lockhart 2007; Perttula et al. 2008; Walker 2009) - Caddo archeologists have also come to fully appreciate the impressive social and cultural complexity and diversity that characterizes the Caddo peoples' heritage (cf. Newkumet and Meredith 1988; Carter 1995; Gonzalez et al. 2005; Sabo 2005). There is every reason to think that we will continue to learn a great deal more about the prehistory and early history of the ancestors of the Caddo peoples who lived in the Caddo area, building upon the archeological findings of those that came before us. 1996 The Spiro Ceremonial Center: The Archaeology of Arkansas Valley Caddoan Culture in Eastern Oklahoma. 2 Vols. Memoirs No. 29. Museum of Anthropology, University of Michigan, Ann Arbor. 2006 Where's the Power in Mound Building? An Eastern Woodlands Perspective. In Leadership and Polity in Mississippian Society, edited by B. M. Butler and P. D. Welch, pp. 197-213. Occasional Paper No. 33. Center for Archaeological Investigations, Southern Illinois University, Carbondale. 2007 Sequencing the Braden Style within Mississippian Period Art and Iconography. In Ancient Objects and Sacred Realms: Interpretations of Mississippian Iconography, edited by F. K. Reilly III and J. F. Garber, pp. 213-245. University of Texas Press, Austin. 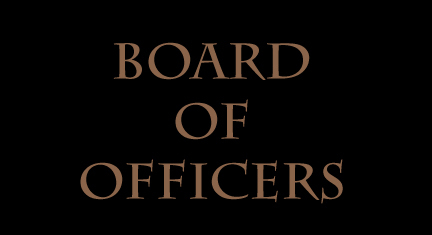 2006 Leadership and Polity in Mississippian Society. Occasional Paper No. 33. Center for Archaeological Investigations, Southern Illinois University, Carbondale. 1995 Caddo History: Where We Come From. University of Oklahoma Press, Norman. 2008 Archaeology in the Lower Mississippi Valley. In Time's River: Archaeological Syntheses from the Lower Mississippi River Valley, edited by J. Rafferty and E. Peacock, pp. 16-44. University of Alabama Press, Tuscaloosa. 1993 Caddoan Saltmakers in the Ouachita Valley: The Hardman Site. Research Series No. 43. Arkansas Archeological Survey, Fayetteville. 2000 The Caddos of the Trans-Mississippi South. In Indians of the Greater Southeast: Historical Archaeology and Ethnohistory, edited by B. G. McEwan, pp. 122-141. University Press of Florida, Gainesville. 2004 Prehistory of the Western Interior After 500 B.C. In Handbook of North American Indians, Volume 14, Southeast edited by R. D. Fogelson, pp. 560-573. Smithsonian Institution, Washington, D.C.
2004 Dating Gahagan and Its Implications for Understanding Cahokia-Caddo Interactions. Southeastern Archaeology 23(1):57-64. 1951 Greenhouse: A Troyville-Coles Creek Period Site in Avoyelles Parish, Louisiana. Anthropological Papers 44(1). American Museum of Natural History, New York. 2005 A Rediscovering of Caddo Heritage: The W. T. Scott Collection at the American Museum of Natural History and Other Caddo Collections from Arkansas and Louisiana. Historic Preservation Program, Caddo Nation of Oklahoma, Binger. 1980 The Doctor and Caddology: Dr. Clarence H. Webb's Contribution to Caddo Archaeology. In "Caddoan and Poverty Point Archaeology: Essays in Honor of Clarence Hungerford Webb," edited by J. L. Gibson. Louisiana Archaeology 6:19-28. 1950 Review of "The George C. Davis Site" by H. Perry Newell and Alex D. Krieger. American Anthropologist 52:413-415. 1952 An Interpretation of the Place of Spiro in Southeastern Archaeology. The Missouri Archaeologist 14:89-100. 1920 Certain Caddo Sites in Arkansas, Indian Notes and Monographs, Miscellaneous Series, Volume 10. Museum of the American Indian, Heye Foundation, New York. 2006 Leadership Strategies and the Nature of Mississippian Chiefdoms in Northern Georgia. In Leadership and Polity in Mississippian Society, edited by B. M. Butler and P. D. Welch, pp. 73-90. Occasional Paper No. 33. Center for Archaeological Investigations, Southern Illinois University, Carbondale. 1946 Culture Complexes and Chronology in Northern Texas, with an Extension of Puebloan Datings to the Mississippi Valley, Publication 4640. University of Texas, Austin. 1947 The First Symposium on the Caddoan Archaeological Area. American Antiquity 12:198-207. 1948 Importance of the "Gilmore Corridor" in Culture Contacts Between Middle America and the Eastern United States. Bulletin of the Texas Archeological and Paleontological Society 19:155-178. 2007 The "Path of Souls": Some Death Imagery in the Southeastern Ceremonial Complex. In Ancient Objects and Sacred Realms: Interpretations of Mississippian Iconography, edited by F. K. Reilly III and J. F. Garber, pp. 174-212. University of Texas Press, Austin. 2007 Prehistoric Caddo of Arkansas: A Multiscalar Examination of Past Cultural Landscapes. Ph.D. dissertation, Department of Environmental Dynamics, University of Arkansas, Fayetteville. 1973 Indian Exodus: Texas Indian Affairs, 1835-1859. Nortex Offset Publications, Quannah. 1975 Robert Simpson Neighbors and the Texas Frontier, 1836-1859. Texian Press, Waco. 1949 The George C. Davis Site, Cherokee County, Texas. Memoirs No. 5. 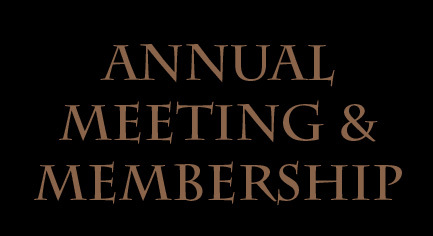 Society for American Archaeology, Menasha, Wisconsin. 1988 Hasinai: A Traditional History of the Caddo Confederacy. Texas A&M University Press, College Station. 1952 Survey of Caddoan Area Archeology. In Archeology of the Eastern United States, edited by J. B. Griffin, pp. 239-255. University of Chicago Press, Chicago. 2004 The Economy of the Moment: Cultural Practices and Mississippian Chiefdoms. In Archaeological Perspectives on Political Economies, edited by G. M. Feinman and L. M. Nicholas, pp. 25-39. University of Utah Press, Salt Lake City. 1992 "The Caddo Nation": Archaeological and Ethnohistoric Perspectives. The University of Texas Press, Austin. 1996 Caddoan Area Archaeology Since 1990. Journal of Archaeological Research 4:295-348. 2008 Caddo Agriculture on the Western Frontier of the Eastern Woodlands. Plains Anthropologist 53(205):79-105. 2008 A Revolution in Caddo Archaeology: The Remote Sensing and Archaeological View from the Hill Farm Site (41BW169) in Bowie County, Texas. Southeastern Archaeology 27(1):93-107. 1978-1984 Pre-Columbian Shell Engravings from the Craig Mound at Spiro, Oklahoma. 2 Parts. Peabody Museum of Archaeology and Ethnology, Harvard University, Cambridge. 2005 Dancing into the Past: Colonial Legacies in Modern Caddo Indian Ceremony. In A Whole Country in Commotion: The Louisiana Purchase and the American Southwest, edited by P. G. Williams, S. C. Bolton, and J. M. Whayne, pp. 149-168. University of Arkansas Press, Fayetteville. 1983 The Archeology of the Great Bend Region in Arkansas. In Contributions to the Archeology of the Great Bend Region, edited by F. F. Schambach and F. Rackerby, pp. 1-11. Research Series No. 22. Arkansas Archeological Survey, Fayetteville. 1984 A Description and Analysis of the Ceramics. In Trubowitz, N. L. (ed. ), Cedar Grove: An Interdisciplinary Investigation of a Late Caddo Farmstead in the Red River Valley, edited by N. L. Trubowitz, pp. 109-170. Research Series No. 23. Arkansas Archeological Survey, Fayetteville. 1984 Mississippian Expansion: Tracing the Historical Development of an Explanatory Model. Southeastern Archaeology 3:13-32. 2000 Introduction. In the George C. Davis Site, Cherokee County, Texas, by H. P. Newell and A. D. Krieger, pp. 1-31. 2nd Edition. Society for American Archaeology, Washington, D.C.
1954 An Introductory Handbook of Texas Archeology. Bulletin of the Texas Archeological Society 25:1-562. 1993 The Caddos in the Era of the Republic of Texas. 3 Parts. Caddo Nation News Volume 2 (Nos. 2-4). 2009 Landscape Archaeo-Geophysics: A Study of Magnetometer surveys from Etowah (9BW1), The George C. Davis Site (41CE19), and the Hill Farm Site (41BW169). Ph.D. dissertation, Department of Anthropology, The University of Texas at Austin. 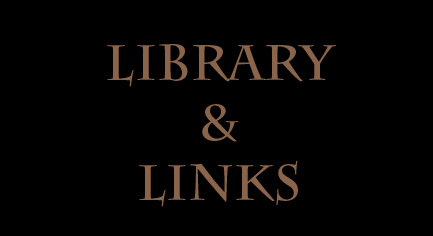 1983 The Bossier Focus Revisited: Montgomery I, Werner, and other Unicomponent Sites. In Southeastern Natives and Their Pasts, edited by D. G. Wyckoff and J. L. Hofman, pp. 183-240. Studies in Oklahoma's Past No. 11. Oklahoma Archeological Survey, Norman. 2003 Introduction. In The Louisiana and Arkansas Expeditions of Clarence Bloomfield Moore, edited by R. Weinstein, D. B. Kelley, and J. W. Saunders, pp. 1-187. The University of Alabama Press, Tuscaloosa and London.